HTC is a mobile phone maker company, which is widely recognized for manufacturing high-quality mobile handsets. Great things come in small parcels. 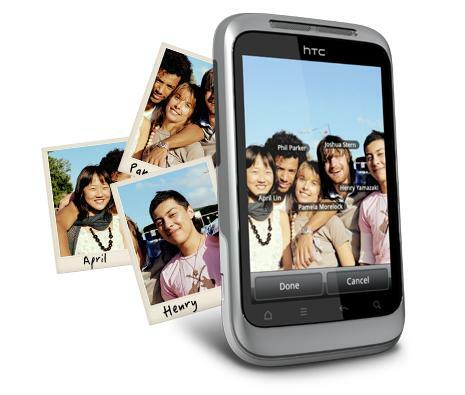 Today, HTC mobile phones are gaining popularity as they are proficient to meet the needs of a large number of people. All mobile phones by HTC are the result of this innovative technology. As all these mobile gadgets comes are equipped with advanced Windows operating systems, huge memory space and advanced processors. Be it for the purpose of carrying important files for a presentation, or in an requirement to surf the internet, listening to music or acting as a communication tool; the range of HTC phones are self-reliant to accomplish every task with ease. These cool gizmos are so magnificent that one would love to hold them in hands instead of keeping inside pockets. The huge list of technologically advanced phones from HTC comprises ones which are the appearance of style and matter in a single body. Also these are perfect accessories for all those professionals who desire to use their phones in more than one ways instead of just making calls only. The great technology incorporation, innovative interface and supportive multi-functioning features make tower above of all prospects. 1. HTC Desire S Red– This dazzling red coloured mobile is one of the best example of this innovative technology. The fashionable phone comes packed with loads of hi-end features including, S-LCD capacitive touchscreen of 3.7 inches, 5 mega pixel camera, music player and FM radio with RDS technology. It comes in the dimension size of 115 x 59.8 x 11.6 mm at 130 g of weight. It runs on the Android OS, v2.3 (Gingerbread), upgradable to v4.x operating system. 2. HTC Desire – The handset comes with the Android OS, v2.1 (Eclair) operating system and gives higher performance with1 GHz Scorpion processor. Being available in vibrant colours like Black, Brown, Silver and White, the user can select the best as per his/her desire. This is a multi-tasking mobile phone so it comes with numerous features like YouTube, Google Talk, Picasa integration, MP3 and MP4 player. 5 Mega Pixel camera is also there for capturing your memorable moments. 3. 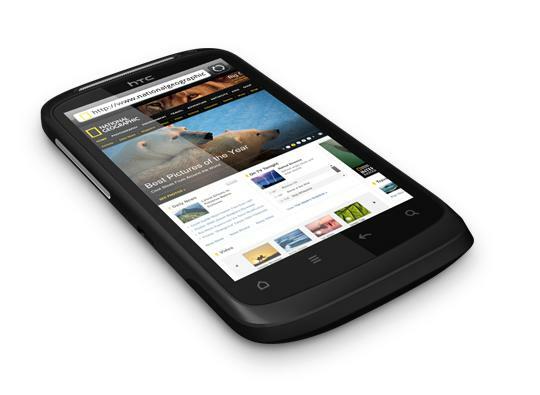 HTC Wildfire Black – With this amazing mobile phone, you can click highly defined images with 5 mega pixel camera at a high picture resolution. As per its software, it runs on the plat form of Android v2.1 (Eclair) operating system. 4. 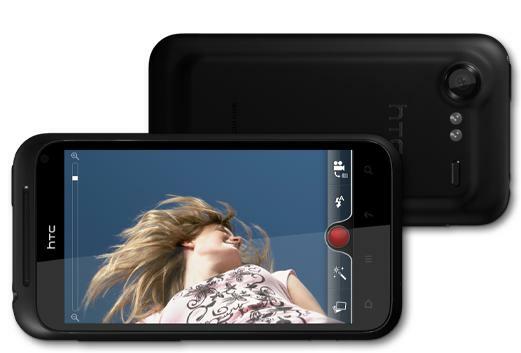 HTC Desire HD - HTC Desire HD is considered as one of the most technologically upgraded mobile phone. 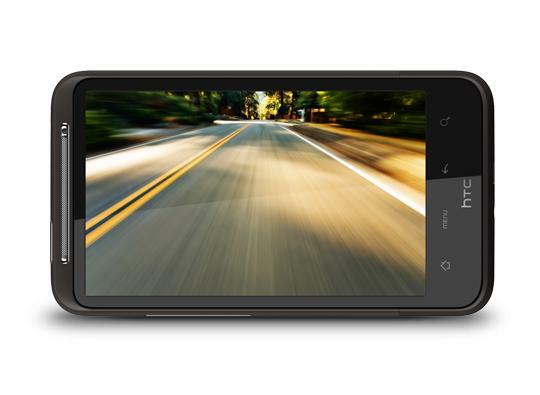 Ideal for all those who desire to get a cinematic experience on their phone, HTC Desire HD is one of the best options to choose from. Along with this the high fidelity sound and breath-taking internet browsing experience, make you fall in love with this amazing gadget. Also it has various features like games, music player and various applications. 5. 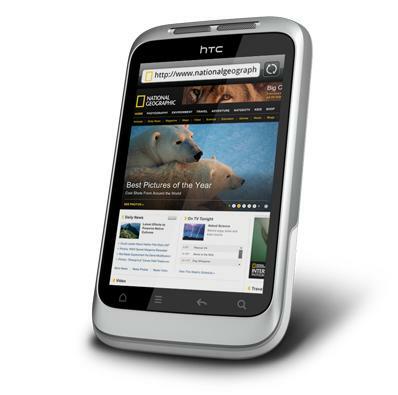 HTC Wildfire Silver - With its 3G compatibility, touchscreen and hi-definition camera, it gives you pure pleasure to your choice. It comes with a dazzling body with the dimension size of 106.8 x 60.4 x 12 mm at 118 grams weight. Besides all these, as per its display requirement, it comes packed with TFT capacitive touchscreen of 3.7 inches which can perform at a resolution size of 240 x 320 pixels. 6. 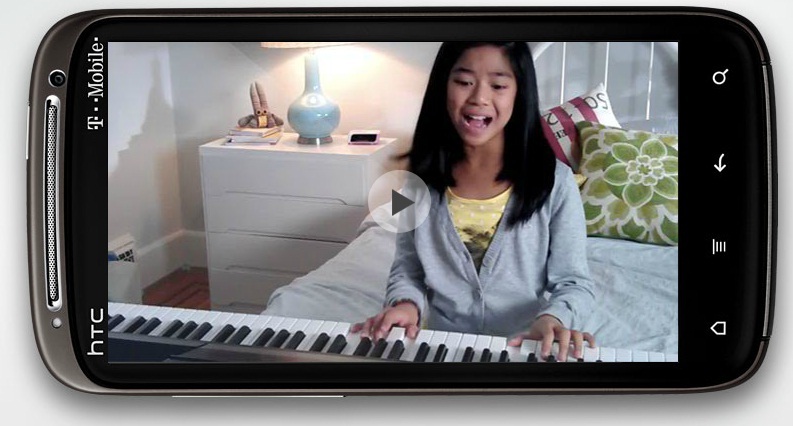 HTC Incredible S - The HTC Incredible S features the newest and utmost in smartphone technology. It is a great looking gadget with equally striking specifications. It comes with the impressive and huge list of features including 8 megapixel camera, 4 inch touchscreen display, and a multitude of multimedia and social networking applications. Running on the latest version of the Android OS, the device is a nice option for internet browsing which comes with 3G technology. Also it has music player with very fine sound quality and FM radio with RDS technology. 7. 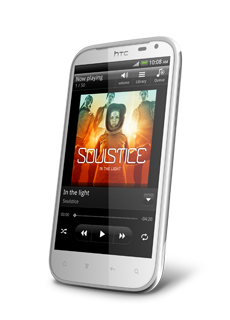 HTC Sensation – It is boasted with S-LCD capacitive touchscreen of 4.3 inches which can display at a resolution size of 540 x 960 pixels. Being a stupendous snapper, it is well-equipped with 8 Mega Pixel at a resolution size of 3264x2448 pixels. With numerous advanced features like autofocus, dual-LED flash, check quality, it clicks a very high- quality pictures. It combines with a powerful processor and comes with the Android OS, v2.3.4 (Gingerbread), upgradable to v4.x. 8. HTC Desire S – This nicely designed handset comes with the measurement size of 115x 59.8x 11.6 millimetres and weighs just 130gram. For faster web browsing it comes with superfast 1GHz processor. It runs on the Android OS, v2.3 processor and boasted with 3.7 inch S-LCD capacitive touchscreen which can display at a resolution size of 480x 800 pixels. 10. 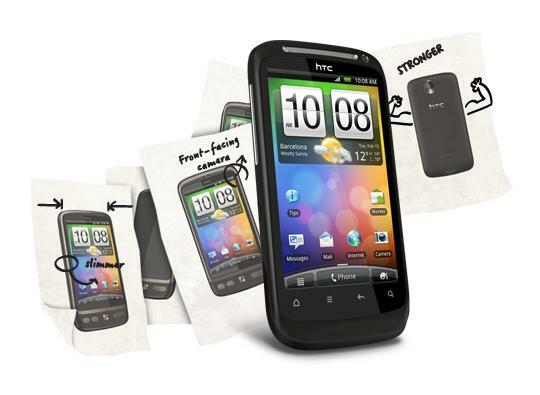 HTC Flyer- The amazing phone with huge screen display of 7.0 inches. Giving a cinematic experience with LCD capacitive touchscreen, it can perform at a resolution size of 600 x 1024 pixels. 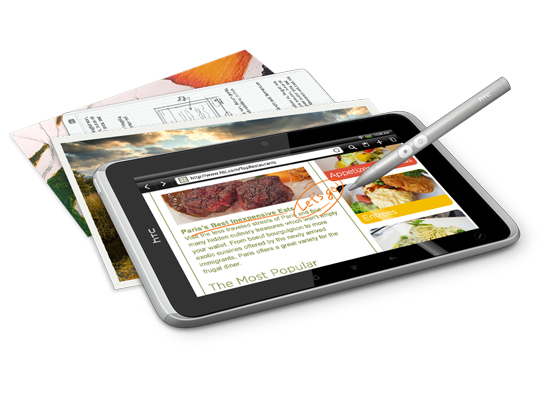 With the handwriting support, you can type at a great speed and can perform other function as well. For data storage the phone has 16GB of internal memory and an extra slot of 32GB with a microSD card.